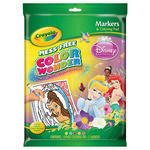 I bought these crayola color wonder markers for my youngest child that wanted to use colors like her older siblings. That was the best choice I have ever made. They have a whole different variety of coloring books just for the color wonder markers. I don't have to worry about my child hiding a marker and finding her room decorated. They are completely mess free. 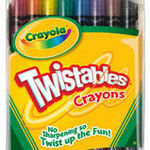 This was a super idea by crayola. Unless you have children that have issues coloring "off the paper" or on walls, these markers really aren't worth it. They only work on specific color wonder paper, which is pricey as well, and they cost twice as much as the regular markers. Also, they smell pretty bad. Stick to Crayola Washables if you really have issues getting marker on surfaces other than paper. As a professional nanny, babysitter, and busy Mom of a one year old, I absolutely LOVE Crayola Color Wonder markers!!! They are just fabulous for kids who are not quite ready for regular markers yet. I was so excited to give them to my daughter to use for the first time and she really enjoyed watching the color "appear" on her paper! I love knowing that they are completely safe for her, that they won't make a mess on her body or clothes, and that it's a great way for her to work on her fine motor skills and express her creativity. I know that my furniture, walls, and carpets are safe, too! They are also great for my older step daughter to use in the car or on airplanes during family trips. I love that there is the option for either pre printed coloring and activity books or just plain white paper. We just use the plain white paper now, but will move onto coloring books and activity books eventually. I absolutely love these color wonder products! I don't have to worry about finding stains on the walls, carpet, clothes, couches... etc.,! 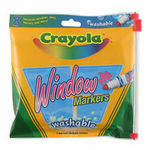 These are wonderful for toddlers who don't understand the concept that markers can dry out if the cap is left off. I have found these markers hours later with the caps off and they still work. It's great! I do have to warn you though that at first it can be a little frustrating for your little one because it can take a few seconds for the color to pop out. These products can also get a little expensive. My son can go through the color wonder coloring papers really quick! It can get kind of pricey to keep replacing these coloring pads. But, it is worth the money. I can't tell you how many times I've seen incidences where if it was a regular marker, that would be a stain. The coloring pads and papers are always really cute designs too. My son is a huge fan of Toy Story and they have a Toy Story coloring pad. My son always enjoys coloring with these. I can remember not being able to use markers until I was almost in junior high! My mother hated them, because they always ended up somewhere they shouldn't have been. I dreaded giving them to my 2 year old son, but then he received these Crayola Color Wonders Markers this past Christmas along with his favorite, a Disney Pixar's Tow Mater's Tall Takles coloring book. He was in awe and I was terrified! He'd already tried using crayons and I hate scrubbing it off his high chair tray. But then we used the markers and I discovered that These markers are great. I have no problem with him using them anywhere in the house, even in the living room or on my white couch. He's a little young, but he gets so excited about how the colors magically appear on the pages and I love that I don't have to be hovering over him the whole time. I'm not sure how long they last. we've only had them about a month. He often leaves the caps off, but they have not dried out yet. I will say that using these has also helped him learn his colors. When my son was about a year and a half, he became fascinated with markers. He was coloring some with crayons, but markers seemed to be so much more exciting to him. A friend told me about Crayola's Color Wonder markers, so we bought some for my son, along with a matching coloring book of Handy Manny. I LOVE that these markers only mark on the paper they are made for! How genius! My son tries to stay on the paper, but if he goes off on the table accidently or wanders away from his coloring, it's ok because nothing is going to get marked. It is a great way to build young children's confidence since they so often hear that they're not ready for markers. A few drawbacks- they can be more costly than regular markers, and they seem to run out of ink quicker than regular markers. Sometimes the colors blur a bit as well. I do like that you can buy a coloring book or a pad of blank paper to use, depending on your child's desires. These are perfect for not making a marker mess! Our daughter got these markers for christmas this last year and we all love them. Our daughter loves markers and it was hard to give them to her because if you weren't watching her close you wouldn't know what she would do. So her grandma gave her these and I don't have to worry about her using them. For a two and half year old the paper is costly because she draws lines and then moves on to another sheet. She loves to draw though and so the investment is probably worth it. We just kept teaching her to go back and keep drawing on the same paper. Even at that, she still went through the paper fast. She did leave a cap off one of the markers and I didn't see the marker on the carpet and when I picked it up the carpet was a little wet. I guess the markers do leak a little when there isn't a lid. The marker does take a little bit to show its color on the paper and so you draw and then watch the color fill in. Our daughter didn't seem to mind and it was kind of fun to watch the color appear after marking on the paper. We have had these markers for a month with tons of use and they are still going strong. Color Wonder markers aren't so WONDERful. As a mother of 3 girls who LOVE crafts and coloring, I do like bringing these for things like airplane rides and car trips when I REALLY don't want them to color on anything but the PAPER. However, I have found after a few years of using these that the pictures quickly smear and the colors run together, making the pictures they've colored with them completely worthless. While I am a pretty sentimental woman, I don't feel it's necessary to save EVERY picture my daughters color - especially when they're spitting out 3-5 per DAY - but I would be sad if this was all I had because it leaves in no way an accurate memento of how my children colored at different stages of development (something I do like to capture with small samplings here and there). It also takes a little while for the colors to actually show up on the page, which is something that has been hard for my children to understand at younger ages (but also when they're more prone to color on surfaces besides the paper itself). Overall, I'd recommend this for car trips, dinner in a nice restaurant, airplane rides, etc. but not for everyday use especially if you want to save some of your child's artwork to look back on in the future. Excellent markers without the mess! 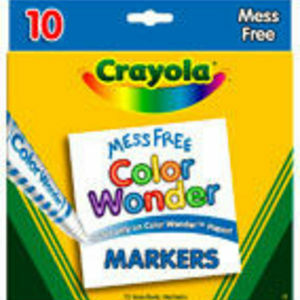 The Crayola Color Wonder Markers are a great first step to a young child learning how to use markers without having to be concerned with the markers getting all over their clothes or your furniture or walls. They only show up on the special paper for the Color Wonder Markers. 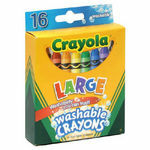 They are great for car trips, especially the smaller coloring books. We actually keep a set in my girls room because I don't have to worry about them coloring on the walls. It keeps them occupied for a long time. The one thing I did notice with my daughter that I think is a negative thing about the product is that it didn't teach my daughter to color within the lines. Because the colors just showed up on the paper and only in certain spots on the paper, she learned to just rub the marker over the entire paper without any concern for the pictures on the page. We ended up taking the Color Wonder markers away from her for a while until she learned to stay in the lines.